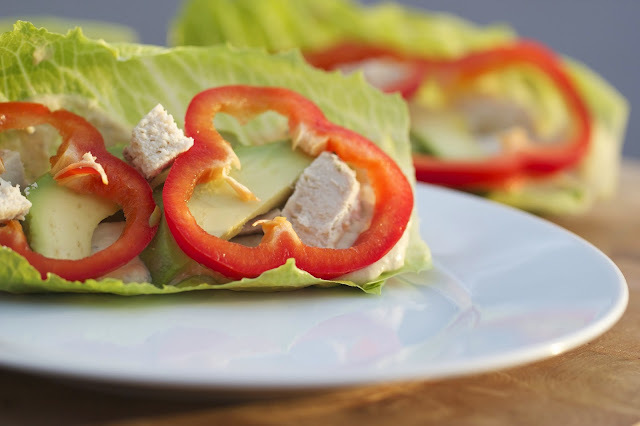 These lettuce wraps are perfect to quickly throw together but they are so fresh and can use a variety of fresh spring and summer produce. 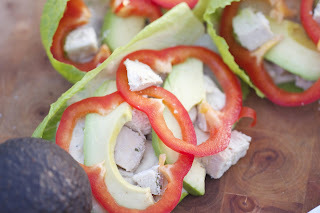 We used fresh bell peppers thinly sliced along with some avocado. 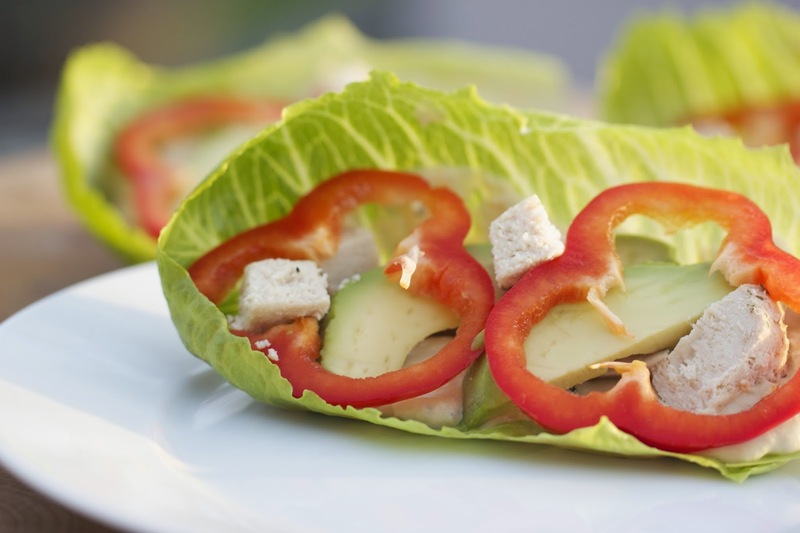 This would also be great with some shaved asparagus and other garden veggies. 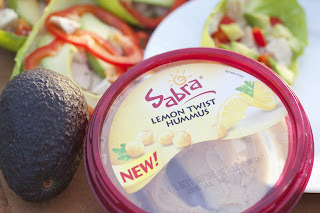 My new favorite hummus is the new lemon twist variety from Sabra and it goes perfectly in this recipe. It adds the perfect citrus dimension to this otherwise pretty simple dish and makes it perfect for a quick weeknight meal or for entertaining on the weekend. You can check out Sabra today for a great coupon to help celebrate Nation Hummus day! Disclaimer: This is a sponsored post for Sabra as a part of my Tastemaker collaboration with them. All opinions are my own. 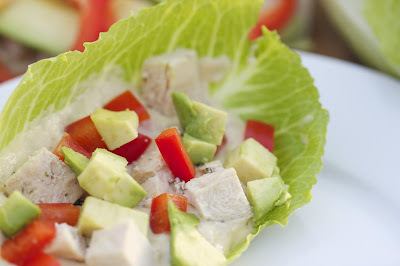 This looks like a wonderful summer dish! Thanks!